As tomorrow is the 'In Bed With The Beast' I thout it would be nice to post the review from the first book of 'The Naughty Princess Club'! 'At The Stroke of Midnight' is a contemporary and funny reading of Cinderela's fairy tale, and trust me, it is goooood! Cynthia seems to have the perfect life, at the perfect neighborhood and the perfect family... Until her husband (now ex) runs away with their babysitter and with all the money from the bank, leaving behind Cynthia and their daughter with no money to pay the bills. An unlikely friendship between three women, and with it, the idea of a new business that could help them get out of money trouble... Now they'd only need a sensual music, a pole dance and a loooooot of courage. Now Cynthia is doing her best to keep the show going on, from the outside her life was all good, but from the inside everything is falling apart: she has to deal with her rebel teenager daughter and trying to get to the end of the month with with her bank account in blue. In the middle of this crises, Cythia will have to step down a little and accept help no matter where it comes from... She just didn't expect that it would come from Ariel, the not very well seen redhair in the neighborhood. Thing is, Ariel and Isabelle — a nerd and shy librarian, were also with really short money and together they look for a way to get out of that trouble, and out of nowhere there's an offer to they go to a birthday party dressed as Disney Princesses, and a really good paycheck. A child's party, dressed as princesses? Easy money! But not. The birthday party was actually for a grown up man and to his kinda drunk mates... Needless to say the ladies ran the hell out of there, right? That misunderstanding inlights the possibility of a new business. Soon they come up with 'The Naughty Princess Club', where the princesses in question would provide you with a personal striptease... The only problem: none of them had experince in that particular area; Cynthi was a housewife with a pearl necklace, Ariel once was the owner of an antique shop and Belle was a librarian who lived in the basement of her father's house. But a business card put the girls in the experient hands of a stripper who accept help them. The stripper in question worked at the Charming's, a club owned by no one else but P.J., the birthday boy! I mean, the birthday man! Since the first moment she saw him, even before the party, Cynthia couldn't keep him away from her thoughts, mas the last thing she needed at the moment was a man in her life, a man who wasn't easy to deal with. Now, knowing about the blondie's problems, P.J. offers himself to help her and starts to show a different side she didn't know he had. And let's not talk about the super explosive attraction between Cynthia and P.J.! Cynthia is that character that put everyone's happiness in front of her own. In this case, she changed entirely to please her husband, that idiot. For a long time all she wanted was a family and when she finally have it, Cynthia did everything in her power to keep it, but she lost herself in the process. Cynthia loses completely the reference of who she is and what she wants, and only realize it when her husband runs away with the babysitter and the cash, not even thinking twice about his wife and daughter. 'At The Stroke of Midnight' is a contemporary and funny reading of Cinderela's fairy tale, even with the names and stuff! 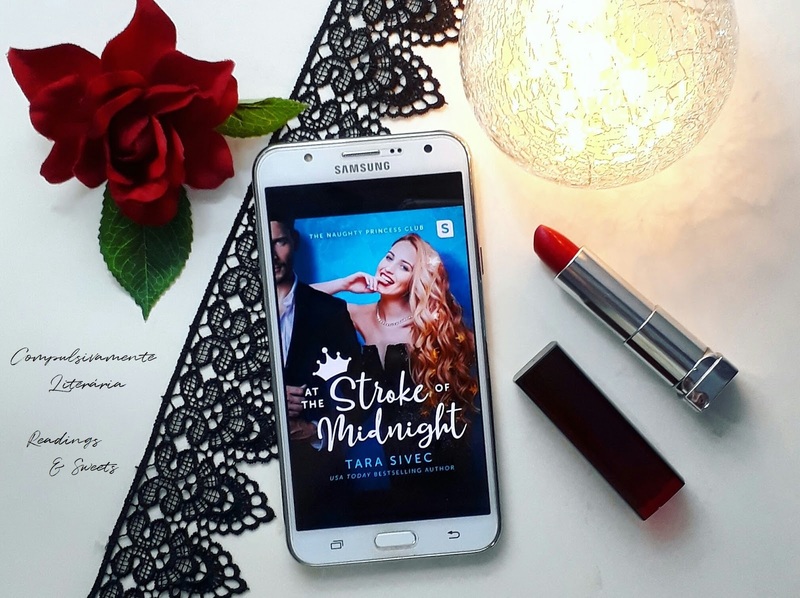 Written in a such good way that you can barely see the time passing, author Tara Sivec approaches important topics with very interesting plots and characters!